While football is one of the most popular sports in the state, many visitors want to see a different kind of cowboy in action when they visit. Like a roper giving chase to a calf or a rider attempting to stay seated on a bull for longer than eight seconds (best of luck). 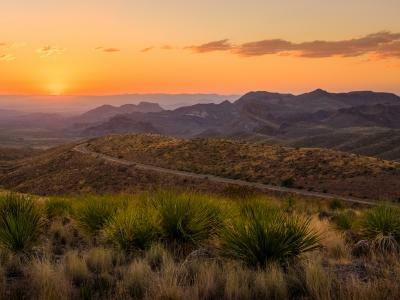 Well, grab your hat and get ready for some high-energy horseback fun you can only find in Texas — and it all starts with the rodeos. Rodeos originated with the cattle industry in the Old West, when cowboys competed in contests to test or show off their range of skills. 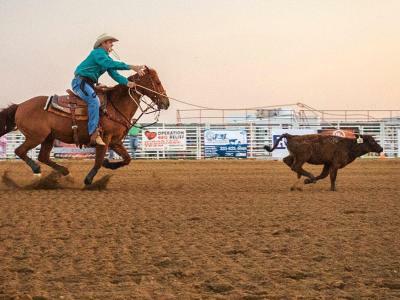 Today, a rodeo often includes a combination of roping, barrel racing, bull riding, steer wrestling and bronc riding. For guaranteed, jaw-dropping rodeo action, Stockyards Rodeo in Fort Worth is open every Friday and Saturday night. And while you’re in the Dallas-Fort Worth area, check out Mesquite Championship Rodeo for live rodeo action every Saturday night from July through September. In Bandera, about an hour northwest of San Antonio, Twin Elm Guest Ranch holds their rodeos every Saturday in July and August. 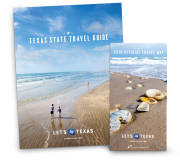 If you’re looking for some bigger events, the larger annual stock shows and rodeos include the Fort Worth Stock Show & Rodeo (January through February), San Antonio Stock Show & Rodeo (February), Houston Livestock Show and Rodeo (March) and Rio Grande Valley Livestock Show and Rodeo (March). In addition to all of these events, you can likely count on finding one-off events stirring up crowds and excitement at a local arena or expo center during your stay. If you prefer to watch riders use their horses for speed, you can catch horse racing at Lone Star Park in Grand Prairie, Retama Park in Selma, Sam Houston Race Park in Houston or Gillespie County Fair Grounds in Fredericksburg (yeah, that’s a lot of options). Make sure to check with each location for its live racing schedule. In April, as part of the Texas Independence celebrations, The 1836 Chuckwagon Race takes place in Neches. Chuckwagons once accompanied cattle drives to feed the cowboys and wagon trains to provide food for the settlers. These days, the tradition is kept alive, as during each race an outrider loads the wagon with a simulated stove and a cook throws in a mock tent, the cook then jumps in the wagon and the outrider onto the horse, and then they speed toward the finish line. The event includes four divisions of chuckwagon races, trail rides, Dutch oven cooking classes, music and more.